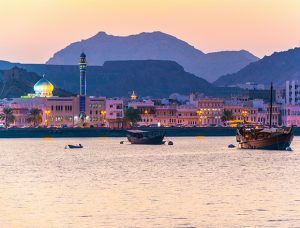 A project to build a seawater desalination plant in Oman has secured US$114mn from a number of Japanese banks with cover from Japan’s export credit agency Nexi. MUFG Bank, SMBC and Shinsei Bank will extend the loan to the Al Asilah Desalination Company in the form of project finance. Currently under design, the project is expected to launch operations in 2021. Thereafter it will sell approximately 80,000m³ desalinated water a day for over 20 years to the Oman Power and Water Procurement Company, the single buyer of power and water for all IPP/IWPP projects within the Sultanate of Oman. Al Asilah Desalination Company was founded in November as a joint venture between Japanese JGC Corporation (75%), Oman’s United Infrastructure Development Company (20%) and Korea’s Doosan Heavy Industries & Construction (5%). The firm will own and operate the project, which will be located at a coastal site near Asilah, in the governorate of Southern Sharqiyah in eastern Oman. In a statement, Nexi says the facility comes as part of the Japanese government’s decision to strengthen its support for water business overseas. It is the first time that Nexi has provided insurance for a seawater desalination plant project. The post Japanese players enter debut facility in Oman appeared first on Global Trade Review (GTR).